This is a very common question I get asked. The short answer is VERY WELL and it really depends on the quality of barrel used and the precision of the chamber cut. 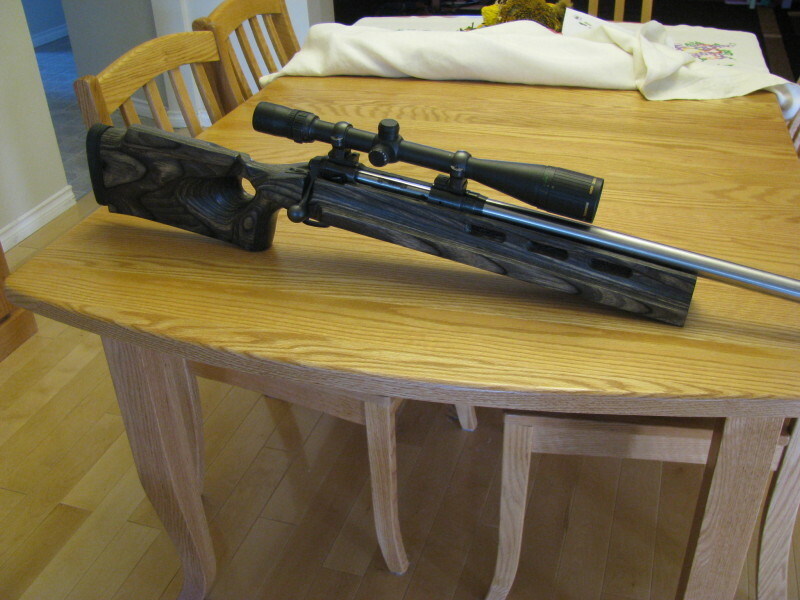 I just received a new Shilen SS Select match barrel prethreaded and chambered for the Savage action in 260AI. I put this into an older Savage action that used to be my 7RM LR hunting rig. Into my BR style thumbhole stock and off to the range. Below is a picture of the test groups I shot today with new, almost fireformed Win brass, Lapua 139gr Scenars, H4831SC, CCI BR2 primers. Conditions were near ideal with next to no wind, overcast, cool but damp (just rained). After the first 6 shots to try and sight in the rifle, I found that the scope ring shims (Burris Sig Zee rings) were way off and I was shooting way too high. I forgot my extra shims so had to make do. Was able to get the POI on the target but still over 1ft high at 100yds. 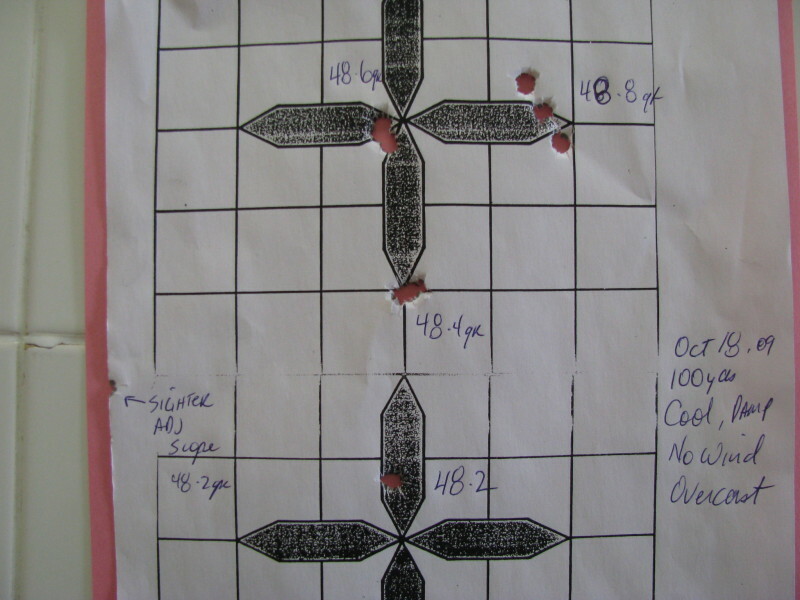 All testing was done at 100yds because I couldn’t keep on target at 200yds – POI way too high. 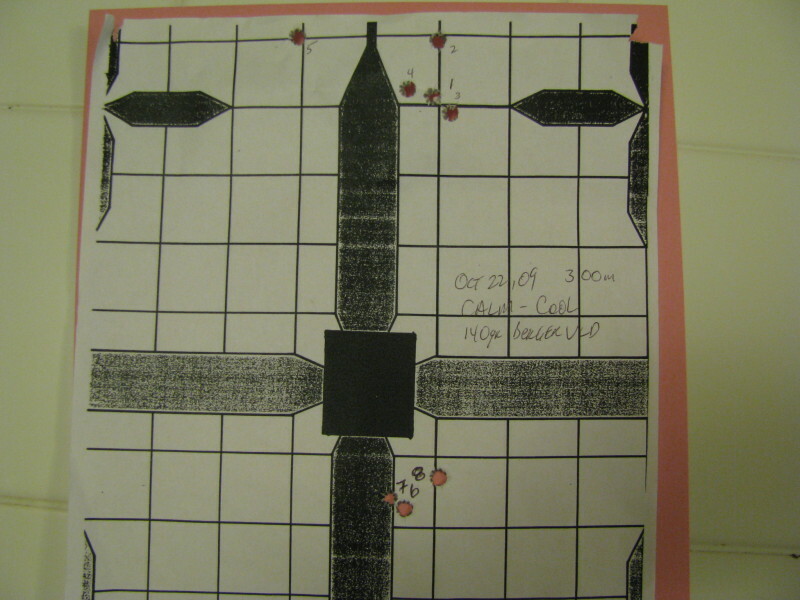 A couple more shots and I was near the target and had run out of sighting in ammo so I had to use my first test load. 48.2gr of H4831SC and CCI BR2 of this particular lot has shot very well in several rifles so I use it for initial testing. As you can see, the first shot went just to the left edge of the paper requiring 3 mins of right. The next two dissappeared into the same hole. Best I can measure is 7mm outside to outside. Definitely promising. The next step was another favorite at 48.4gr. You can see the group has opened up a bit (10mm outside to outside) but nice and flat. Going up to 48.6gr show a slightly larger group (12mm outside to outside) but now you can see the group is vertical. A clear sign that I am at the upper end of this node and pressures are starting to climb. When I retest, there would be no use going higher then 48.5gr and I feel 48.4gr is likely the top side of this node. At 48.8gr, the group has opened up, lots of vertical and a clear sign that the load is no good. I have never found a node higher then this and there is precious little room in the case so I usually call it quits. Since this barrel is clearly showing a dislike to going hotter, will leave it here. Of course, 1- 3rds group is not definitive but I have shot enough of this case to know when a good node has been found. I will now put it into the barrel block and mount to my F class stock and continue testing at 300m. I am sure that I will find the best accuracy at 48.2 to 48.4gr of this powder/primer combo – then I will move on to my new lots where I have much more powder and can stay with one lot until the barrel is shot out. I will continue to post updates as I test this barrel but shooting test groups in the 0’s and 1’s is a clear sign that the barrel has potential. NO work has been done to this action except for my bolt timing (makes bolt lift easier). The barrel was simply taken out of the wrapper and screwed on the action, the headspace set and the nut tightened. The action is very well bedded and the laminated stock is very rigid. With a quality barrel chambered to BR standards (Shilen does a superb job), a simple swap can bring on match grade accuracy. As for barrel break in, these are the first 20rds fired through the barrel. I did clean after 6rds and found a bunch of copper. Given I had just lengthened the throat, not surprised that it was a bit rough – has happened with all my other barrels. Cleaning at the end of this session (another 14rds), showed way less copper. I bet after the next 20rds, copper will be next to nil. Took the rifle out to 300m on a nice crisp cold morning with very little wind. The rifle was definitely cold so this would be a great test of the cold shot accuracy of this barrel. I had decided on 48.2gr of H4831SC. Loaded both Lapua 139gr and Berger 140gr VLD. First up were the 139gr Lapuas. 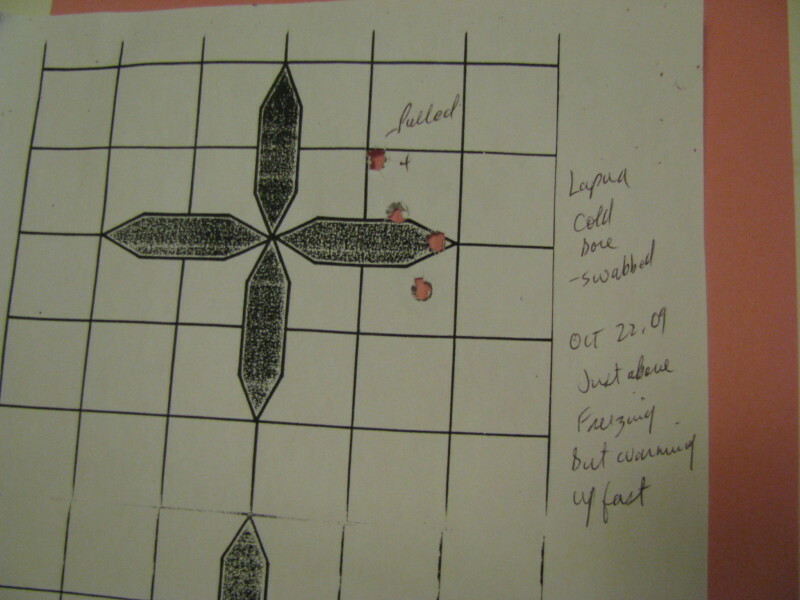 As you can see the first shots were right together in a nice 1″ group. I pulled the 4th high. On this day, the cold bore shot was right there with the next ones which bodes well for future testing. This target was shot with the 140gr VLD. I have decided that my barrel shoots this bullet a bit better then the Lapua so will do all further shooting with this bullet. Conditions were really nice but the sun was warming up the air and I would see light gusts every now and then. The first 4 shots were forming a great looking group with only one a bit high. I saw the conditions shifting but figured I could get another one off before a gust blew threw. As shot 5 shows, apparently not. The flag I was using moved quite a bit after I had made the shot, again, reinforcing how slow flags can be at indicating wind changes. I changed POA and put the last 3rds I had into the very nice cluster on the bottom. The load and barrel are definitely working well together assuming I don’t make a mistake. The rig is certainly showing the potential to shoot right around the 1/4 min groups at 300m which is outstanding for a simple rebarrel. As my other projects have shown, the Savage and Stevens action is a wonderful platform to build a tackdriving rifle with. I have yet to do any work to any of my actions (except bolt timing) and they all seem to shoot splendidly. The key is a quality match barrel with a properly cut chamber and finding a load that it likes. This Shilen barrel and Berger bullets are definitely working out great.